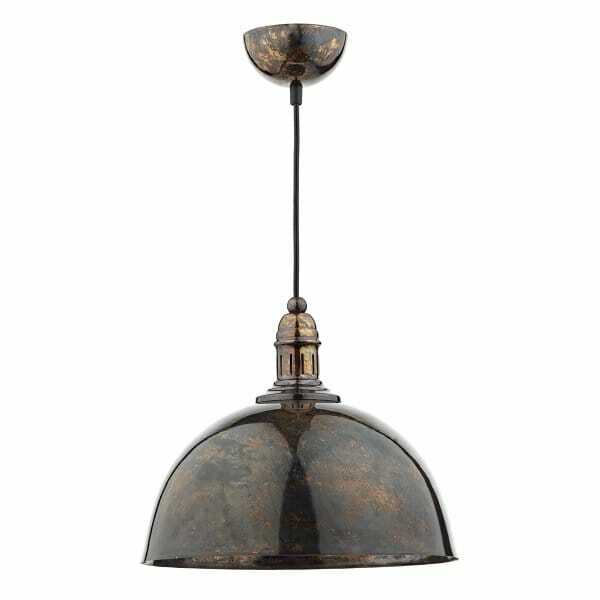 A vintage style ceiling pendant in a mottled bronze finish with decorative braided cable. This light would be suitable for use in any rustic period setting and would be ideal for lighting over kitchen islands and or tables. The light can be shortened at the point of installation to accommodate for rooms with lower ceilings. It can be switched via dimmer switch and is double insulated for safe use without need of an earth wire.